Karin Stephenson, the manager of commercial operations at McMaster’s nuclear operations and facilities, has been recognized by the Canadian Nuclear Isotope Council for her academic leadership. Stephenson was one of three award recipients, each of whom was nominated by members of the CNIC for exceptional leadership in areas that also included public policy and advocacy. McMaster’s nuclear reactor became operational in 1959, and was the first university-based research reactor in the British Commonwealth. Among other activities, it is a world leader in the production of iodine-125, a radioactive isotope that is used in the treatments of numerous solid tumors, including prostate cancer. 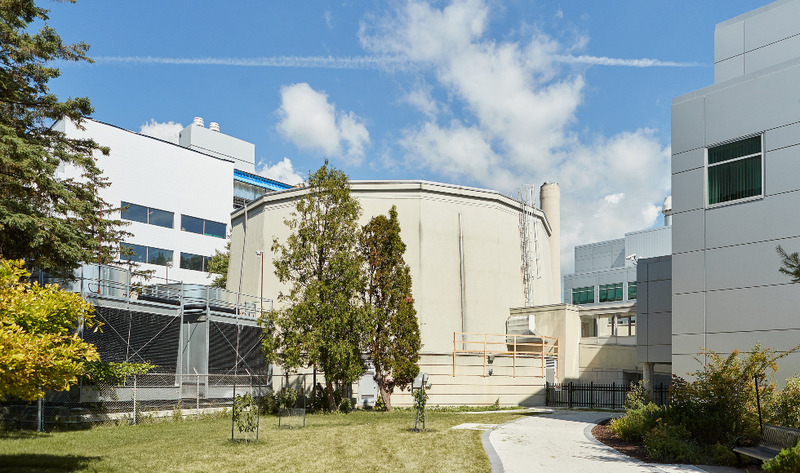 Isotopes from McMaster’s nuclear reactor treat more than 200 patients around the world every day. The CNIC, which was created in 2018, is a coalition of science, healthcare and nuclear sector organizations. It is dedicated to ensuring that Canada remains a leader in the production of medical isotopes, which are used globally in medical imaging, cancer therapy, sterilization and diagnostic development. MacChangers is a co-curricular program that helps interdisciplinary teams of students create innovative solutions to local and global issues. Juliet Daniel was recognized for her work with triple negative breast cancer in women of African ancestry.